A sitcom based on 1986 Tom Hanks-Shelley Long vehicle The Money Pit seemed like an ideal fit for NBC. 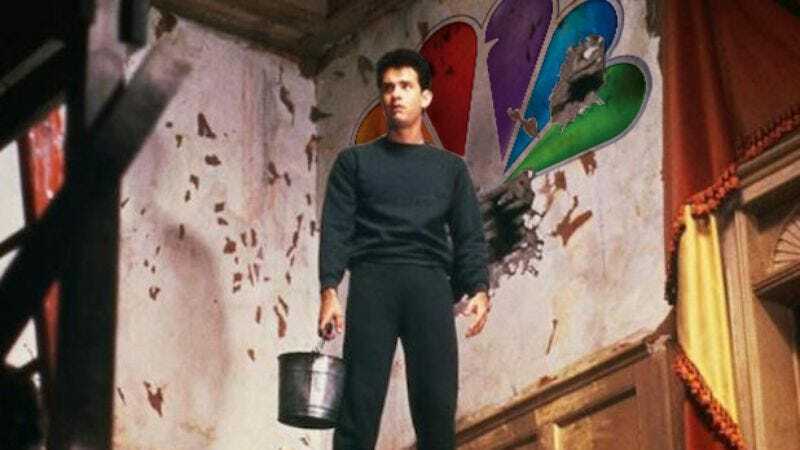 The network is looking for more comedies to shore up Thursday nights, the show doesn’t involve any original ideas, and the story of a once-impressive mansion that’s now rotting, decrepit, and on the verge of complete collapse is the perfect metaphor for NBC. NBC can at least put one piece of positive spin on the news, which is that it’s ordered so many new comedies, it’ll hardly miss this one. With Craig Robinson’s Mr. Robinson, Canadian import Working The Engels, and the Tina Fey-created Tooken already slated to air, there’s a crowded field of new shows vying to push Parks And Recreation out of its timeslot for weeks.